Which GMAT Prep Course should I get? I am taking the GMAT May 9th, so in 27 days. I have been studying on my own, but based on my scores I don't know how to study for this exam as my scores haven't been improving. Since I only have 1 month, would you recommend the Magoosh 1 month plan? 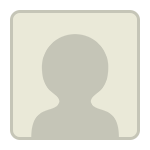 What about the GMAT Economist plan? I already own the OG guide, and Magoosh would be $199, and the eocnomist would be $799. However, this program usually takes 3 months to finish and I only have 1. Also, it's my last semester of college, so I also want to enjoy that. 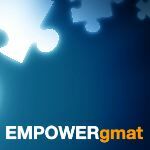 Try Empower GMAT as they have a 1 month prep plan. I guess the more important question is whether one more month of prep will be enough time for you to hit your score goal, right? Also, given that question coupled with the fact that you clearly want to be enjoying the last semester of college before graduation, you may consider setting the GMAT study down and picking back up when you are fully ready to commit. You know what I mean? Also, is there a particular reason why you are taking the GMAT in one month? Which tests have you been taking, and what are your scores like? Also, what is your target score?